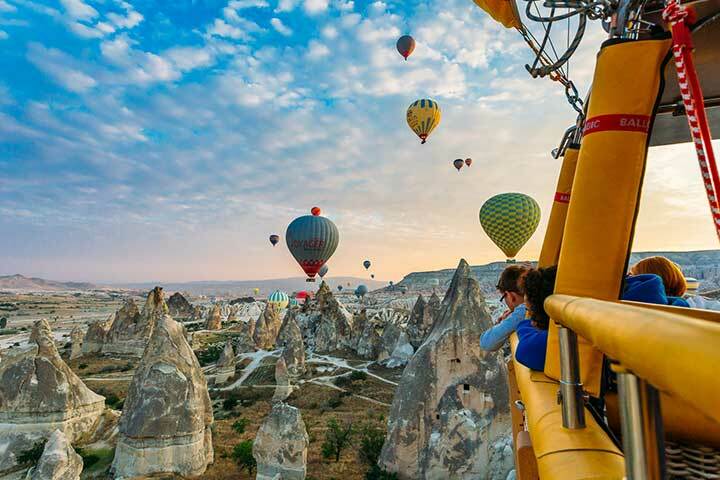 Cappadocia is a great escape for a honeymoon and we can combine this package by adding Istanbul, Bodrum and a private yacht for a couple of nights. 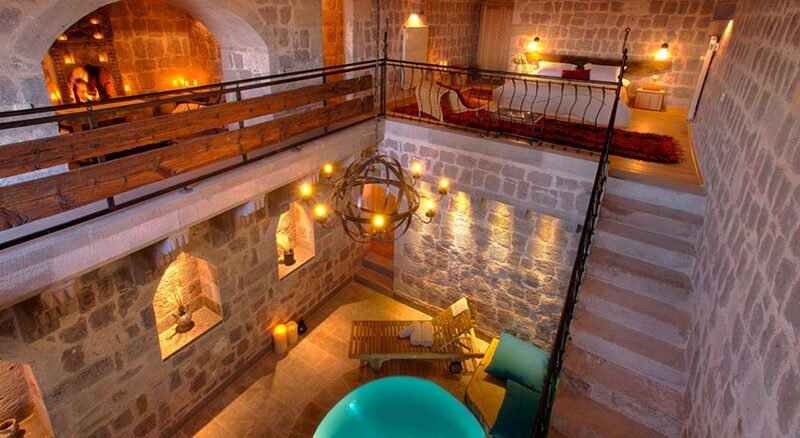 Overnight at Argos in Cappadocia or similar. Early morning hot-air balloon. The experience begins with the transfer of the passengers to the headquarters with minibusses Our passengers will have an open buffet - full catered delicious breakfast and their check-in will be made while the pilots are choosing a good launch site according to the wind directions. Once the launch site is selected, the passengers will proceed to the launch site where they will witness how the crew and the pilot unload, assemble and inflate the balloon. Following an introduction to the safety factors of ballooning with your pilot, your amazing experience will begin. The balloons will climb approximately 300 meters (1000 feet) during the flight. A panoramic and marvelous view will greet the passengers while drifting above the valleys and between rock formations. Balloons move by the wind, and you will float wherever the wind takes you; so that each flight brings new and memorable experiences. Each passenger is to dress according to the temperature. Flat shoes, hat, sunglasses and of course the camera is a must. The flight presents many photo opportunities and lifetime memories to cherish. The flight will last approximately for 60 minutes. In keeping with ballooning tradition, our passengers are treated to a champagne ceremony upon landing by our crew. The passengers will receive a memento certificate. All passengers are covered by the insurance of Eureko Insurance Company. After the flight, our minibusses will take you back to your hotel. Your entire balloon adventure lasts about 180 minutes. Back to hotel for second breakfast and leisure time till pick up time at 09:00. In the morning, meeting with the lunar landscape of Cappadocia, descend into the center of the earth in the Underground city of Kaymakli. After this magnificent site, we will start meeting the rock formations beyond imagination. Climb on top of the Uchisar Rock-Castle to have a panoramic view of the valleys of Cappadocia, after a short stop at Doves Valley for taking extraordinary pictures. Lunch at a chosen local restaurant. After lunch, visit the famous Goreme Open Air Museum and see the best examples of Byzantine art in Cappadocia in rock-cut churches with frescoes and paintings (10th to 13th century). 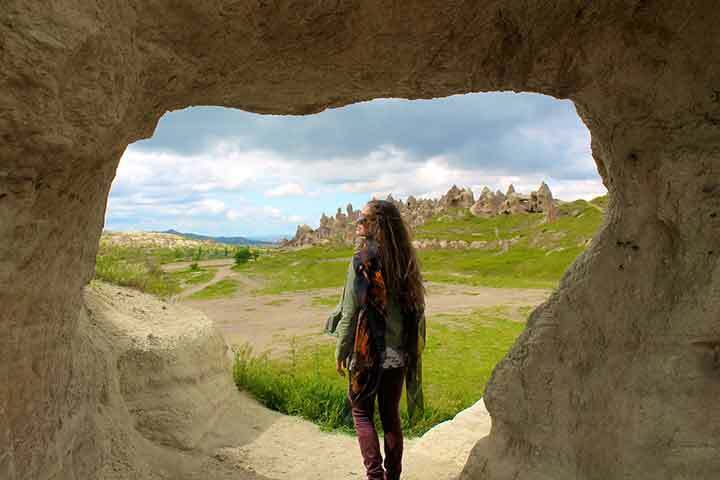 Following the program with Devrent Valley; walking in Zelve Open Air Museum: a journey in the past with its troglodyte houses; visit Pasabag- three-coned fairy chimneys” where the voice of wind mixes with the “songs of fairies” as they say. 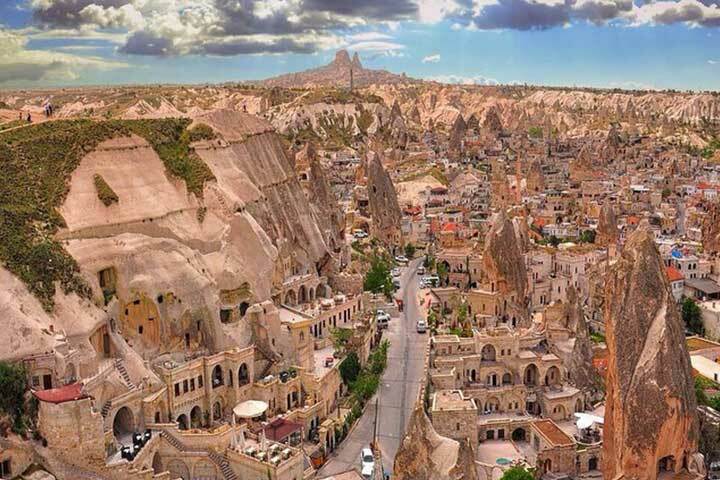 A visit to Avanos, the center of terra cotta work of art since 3000 BC and a demonstration in a traditional pottery workshop is a suggestion while visiting Cappadocia. Depending on the period of the season, Goreme Open Air Museum visit time can be altered to avoid crowds of tour buses. Dark Church is also included in this tour. 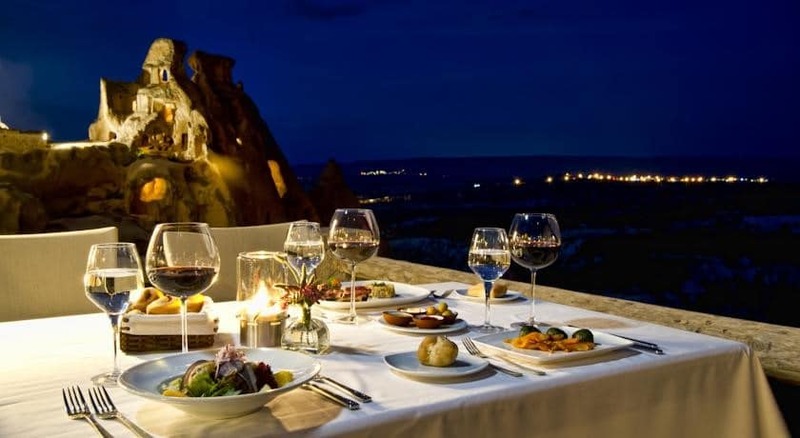 Optional Cappadocia Activities can be added on request to make this romantic getaway package extra memorable. 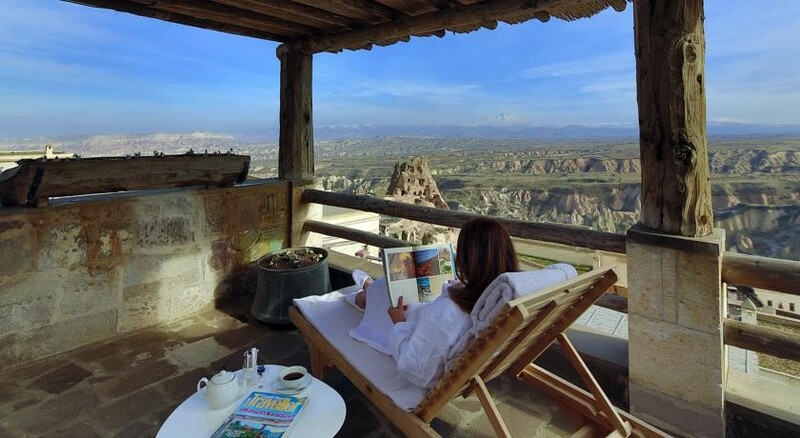 Please note that the honeymoon package special rates valid for a limited time and the availability is subject to change on peak days/season of Cappadocia.